In this part, we learn more advanced topics in ’Speed Reading’. Make sure you have a good understanding of the material covered in Parts 1 and 2 before you move on to Part 3 as it is pretty mind tickling stuff! 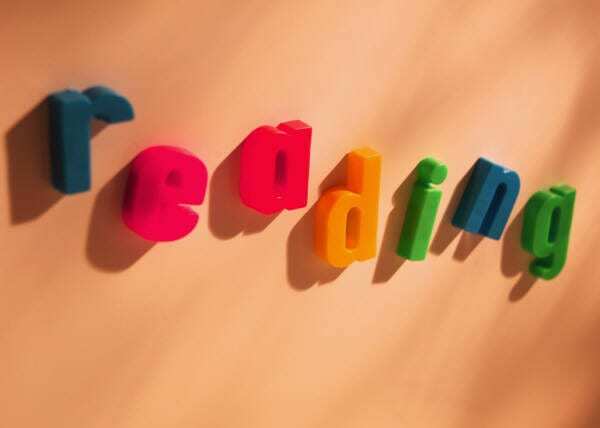 In preparation for this article series, I went through almost 5-6 books on speed-reading,DVD programs, and audio CDs in addition to the information I already know from the speed-reading course I took. Please bear in mind as you read this that the materials that I went through are huge in content, and include reading exercises and study drills. Since I want to present you with a condensed 3 part series on the topic, I have skipped many other good techniques we can use for speed-reading. As I explain two key techniques below, please be aware that my intention is to introduce (with my limited writing space) – important speed-reading concepts to you, so you can be inspired to take this area of study forward. Use these materials as a foundation and starting point for your own study process. For each concept, I will give one specific technique you can apply that will give tremendous improvement in your reading bi’ithnillah. Adapted from the best selling Speed-Reading book – “Remember Everything You Read: The Evelyn Wood 7-Day Speed Reading & Learning Program “ by Stanley D. Frank. Vocalization means to read out loudly. Sub-vocalization is to read aloud silently. Most of the time when we read, we subvocalize. The problem here is we read in normal speaking speed, and this hinders you from reading faster than your normal speaking speed. When we see a person or a landscape, we don’t read out to ourselves every characteristic. Rather, we let our eye decide about it, and we internalize the data using pictures. Our goal will be to move from sub vocalization to visual-vertical technique. ie. eliminating the silent sound and replacing it with visual perception. So we do a vertical sweep of the page, without reading line-by-line. There are areas where sub-vocalization is helpful. For eg. reading poetry, dense text materials, proof-reading, dialogues, reading your favorite fiction novel etc. As I discussed in Part 1, you are not mean to speed-read any and all reading materials. For materials that are suitable to speed-read, we have to avoid sub-vocalization. Take a book and spend about 2 to 4 seconds per page just looking at the content. When you look, say out loud some keywords that you notice, and again say some questions about the words. The reason of verbalizing this out loud is to keep your internal voice “busy” and prevent it from doing the reading for you. While you do the glance and read loudly, continue glancing at the page 2-4 sec per page. Do this for 6 pages, and then come back to this exercise. Welcome back. Now, you should notice that the content of material (however small) you have accumulated in the 6 pages you read now is because of your “visual reading” rather than your auditory facilities. The more you practice this technique the more you will be trained to read using “visual” appearance of the words in the page, without any further testing or checking. Your speed and efficiency will leap forward significantly inshaAllah. Your eye movement decides your speed: the speed of your reading is based on the how you move your eyes over the words. If you move your eyes over every one-word you read, it will take more time than reading 4 or 5 words and then moving your eyes. A very fast reader reads one line with two-eye movements (for shorter lines, just one). This is what we should aim to achieve in speed-reading. As you read this line, notice how your eyes move across the words. For an average reader, his eyes tends to move across the printed line in a series of short jerks, stopping approximately once per word. This is called fixations or eye stops per line. Any reduction in the number will increase the speeding rate. To reduce the number of stops, we have to train our eyes to see a larger area of the page each time you stop – ie. “fixate”. This would require enough practice from your side, and the reward of this effort cannot be anything less that you becoming a speed-reader insha’Allah. This exercise is designed to help you learn a technique for reading with only two eye-stops or fixations, regardless of the number of words. If you wish to triple your reading speed, it is imperative that you master what follows. Imagine the line you want to read vertically divided into 4 parts like below. Above is a line that I have split into 4 parts – using three vertical lines A, B, C.
Imagine your eyes are sponges. You are to set them firmly in line A. Try to expand your vision and read the maximum you can. Then, move your eyes to line C, and do the same (expanding the vision and reading the content around C). Repeat the above drill line by line, several times. Make sure you expand your vision when reading from each point. Resist any temptation to stop more than twice on each line, or to scan or sweep visually. If you do more than two stops, you will see blurs as your eyes hurry along the words, in which case your comprehension will not be satisfactory. This is the two-stop method. For each line, you move your eyes only twice. This needs practice, and then once you master it, you can just skim through the page quickly inshaAllah! With this article series, my intention was to open the world of ‘Speed-Reading’ to you, give you some practical tips that you can apply immediately, extract the top advice from the 5-6 best-selling books on this topic as well as video materials, audio books and condense it into a 3-part series that will inspire you to become a great speed-reader in life. And I believe I have tried my best to achieve that goal. May He accept my efforts and for further information please refer to the material below if you want to learn more still after this series!